Basically: Someone thought it was cool to mix The Omen and The Exorcist. Yo people, where to begin with The Prodigy. With a title like that you would think it was about a really smart kid or maybe a play on an evil version of young Sheldon from The Big Bang Theory, but nah, that’s way off. A young couple in Pennsylvania, Sarah (Taylor Schilling) and John (Peter Mooney) are having a baby. Meanwhile, it’s late at night in Ohio and a young woman, Margaret St. James (Brittany Allen), with a missing hand escapes from a scary looking farmhouse. She gets to the police and they storm the grounds. A man, who seems smart and prolly enjoys some engineering, confronts them and gets killed. At this same time, Sarah and John’s son Miles is born. Over the years Miles seems to excel at everything and so fast. He does things way before he should and he’s in all the special schools. Sarah and John are proud but when young Miles (Jackson Robert Scott) is nine years old he starts to exhibit some really weird behavior—things that make Sarah worry about her son and how she can help him. The Prodigy is a horror movie so, of course, it has to go through the usual techniques. There are one and a half okay jump scares but it’s not heavy like a slasher movie. Some of the camera work and lighting is great, especially in the dark. Then the movie falls over the edge and you notice that no one turns on the lights. You’ll be in your seat thinking: This could be solved with the light switch, honey. The tension is supposed to be built up by Miles, his intensifying creepiness and his disregard for his parents (most of which will leave you shrugging). Miles’ evil-self is able to defeat adults by threatening them with lying to other adults about abuse and, while the kid feels sinister, he’s far from threatening. The character has a dual personality thing that the young actor tries his best to carry—it’s successful sometimes and at others there’s not much of a difference between personas. This leaves Schilling trying her best to sell the motherly worry. She’s so believable here I completely forget her character on Orange is the New Black. The bulk of the movie revolves around Sarah and Miles. Other characters are on screen but never long enough to feel like whole people. 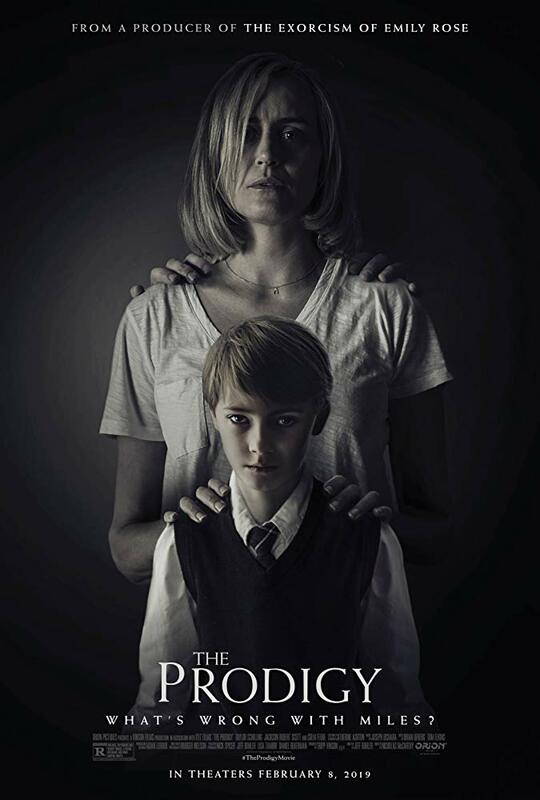 The Prodigy would most likely be better served as a short film. Around the hour-long mark, the movie feels like it should be over. After that it’s all padding to get to a longer runtime before we reach the climax of the film. The Prodigy might be some type of counter-programming or filling for a slow week. But this ain’t it, y’all, I think horror fans should consider sitting this one out. 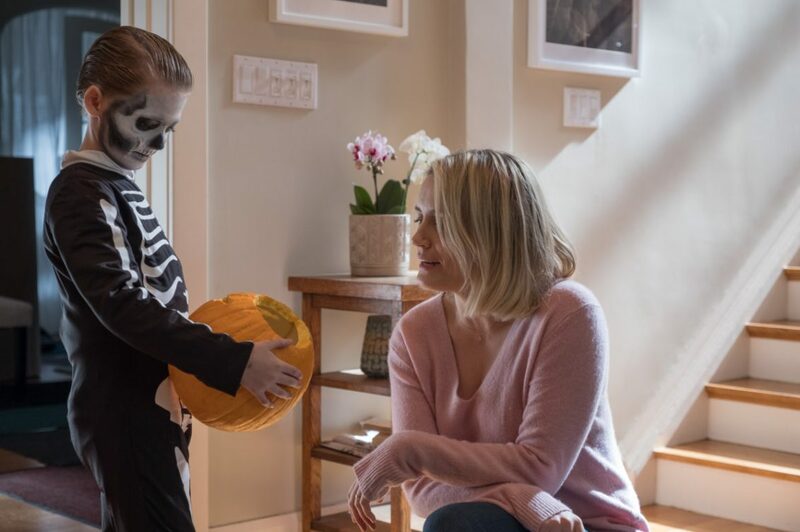 In the End: The Prodigy tries to use elements of horror classics to make something new but completely misses the mark. It never decides if it wants to be a mystical horror or a realistic horror movie and it fails because of it.